While one of the most affordable super-zoom models on the market, the S2550HD/S1800 offers sub par image quality both when shooting stills and video. We highly recommend studying the competition before making your purchase. Read more in our Full Conclusion. 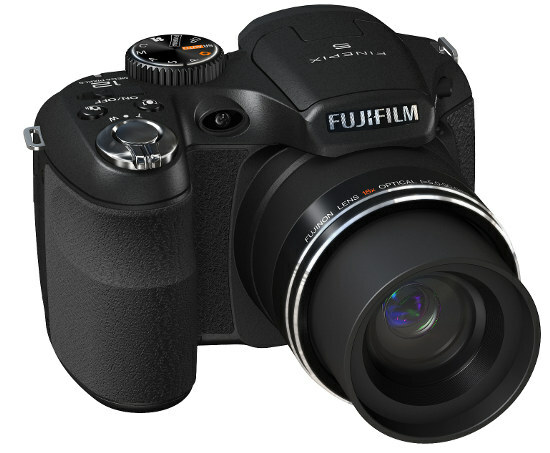 For 2010, FujiFilm released two new super-zoom models that offer pretty much identical specifications, the S1800 and S2550HD. Both models offer a 12-megapixel CCD image sensor, an 18x optical zoom lens, 3.0-inch LCD screens, Dual image stabilization, Tracking AF mode, 720p HD video recording, ISO capabilities up to 6400, SR Auto, AA power source and much more. All these powerful specifications are packed into a comfortable frame, with a dSLR look and feel. The only difference between the S1800 and S2550HD is the latter features a HDMI port. Be sure to continue reading as we take a closer look at the S2550HD model.